I once ended up with a large amount of bare 50W laser diode bars, and a need to mount them, which turned out to not be all that bad. 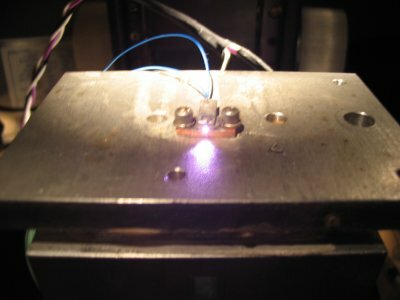 After I did a little research I ended up at Robin's site, die4laser.com, which had some information on mounting bare laser diodes. Next up was the diode bars, which are essentially 19 laser diodes that have not been cleaved apart yet. 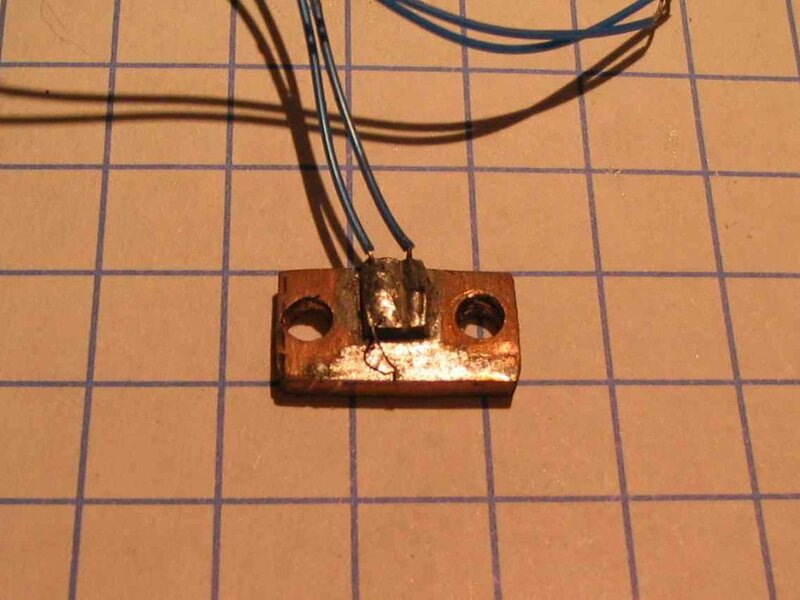 This is both good and bad, on the one hand they are much easier to handle than the individual bars, but on the other hand it means that the solder has to be perfect across the entire bar, if there are any voids the emitter above the void will overheat and short out the entire bar. 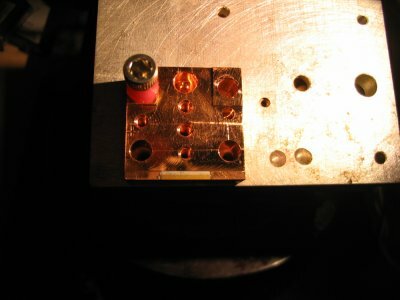 I found that the step of tightening down the top contact to squeeze out any excess solder greatly reduced the chances that there would be a failure like the one above (presumably because it helped reduced any voids in the solder) and I had about a 90% success rate with the method. 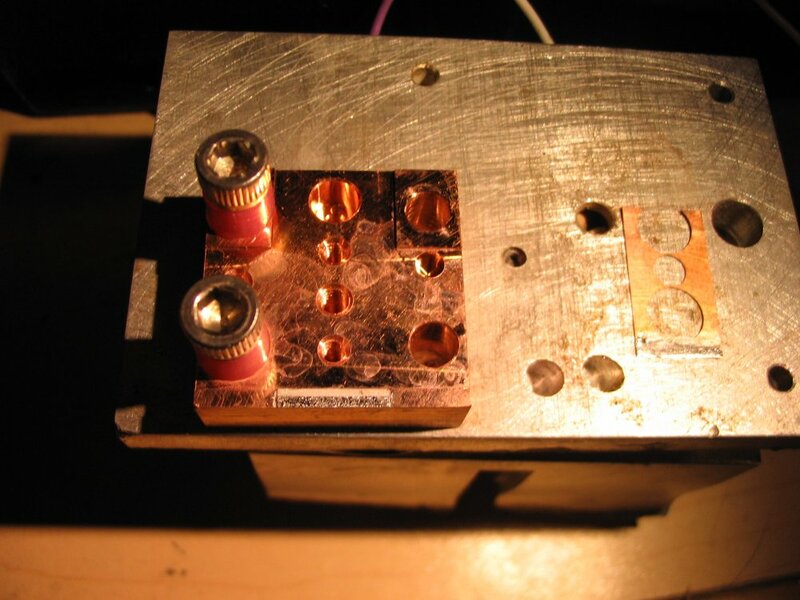 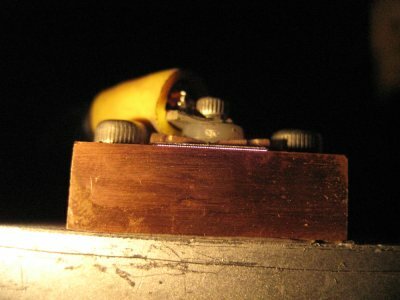 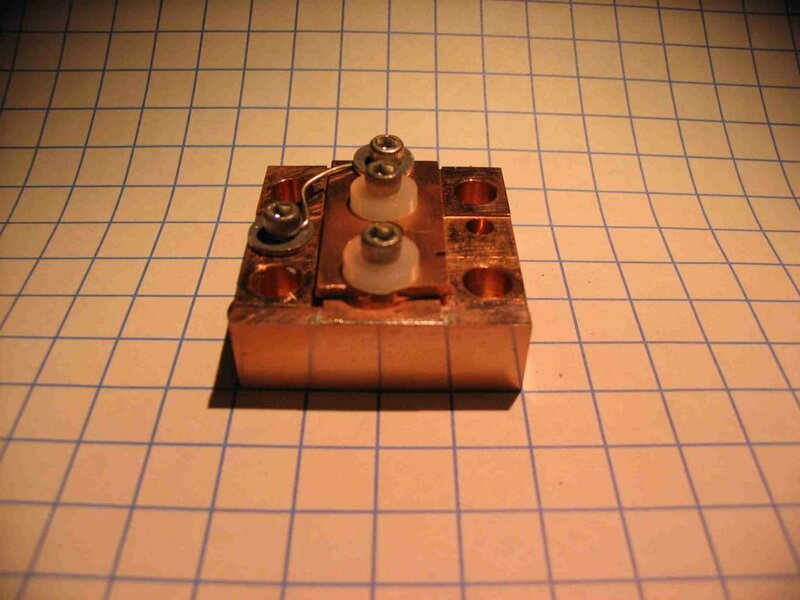 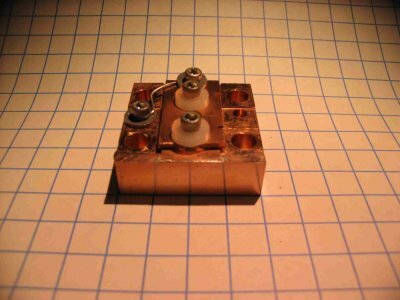 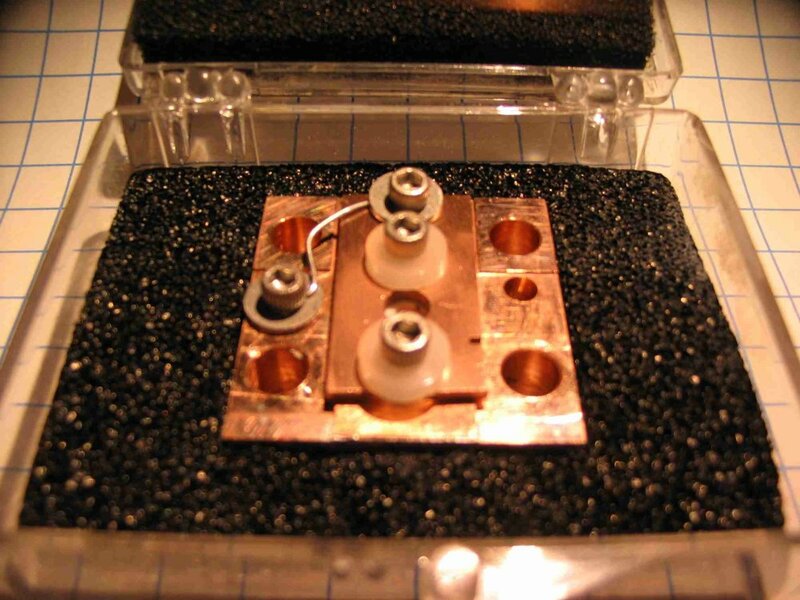 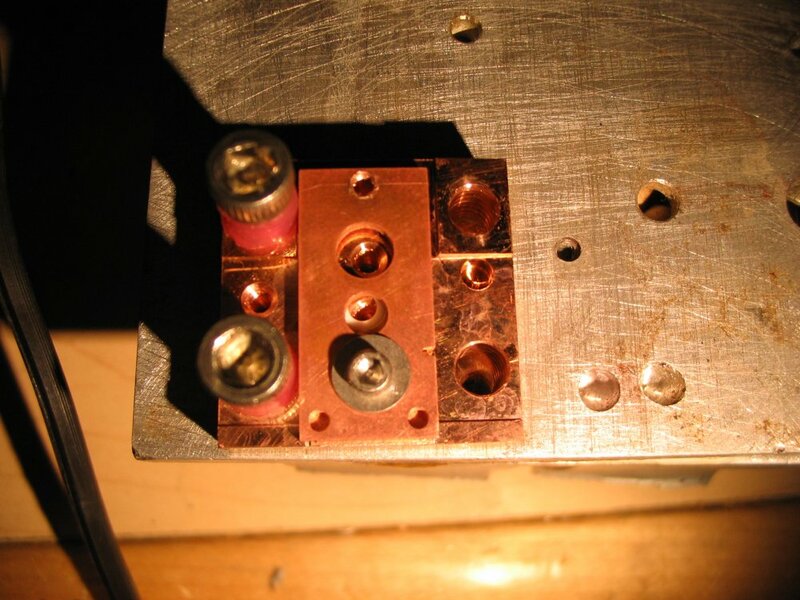 For more details about the diode themselves, see my page on Diode Bars.